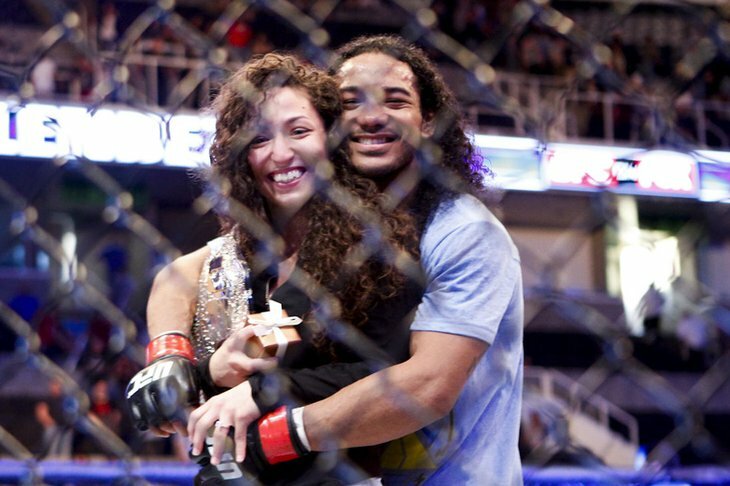 On April 20, in San Jose, CA, Benson Henderson tied BJ Penn’s record for most lightweight title defenses in the UFC. As if that weren’t enough, he then dropped to one knee and proposed to his long time girlfriend Maria Magana. Maria happily accepted, and then the Champ’s night was complete. This entry was posted on Thursday, May 23rd, 2013 at 10:44 pm	and posted in News. You can follow any responses to this entry through the RSS 2.0 feed.